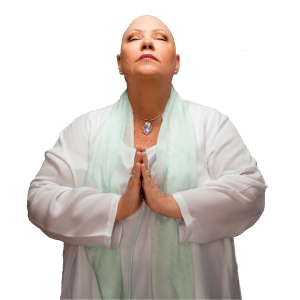 How Strong Is Your Personal Energy Field? Do you feel like your energy gets zapped? Do you ever feel wiped out after being in a crowd of people? Or walk into a room and feel like you could sense the negativity in the air and instantly your energy changes? We live in a fast-paced chaotic world. Every day we are bombarded with energy from satellites, microwaves, cell phone towers, computers, let alone other people’s energy! These outside influences can really impact your energetic fields causing a lot of issues — like fatigue, headaches, low energy, feeling spaced out, and more. We all hear about the negative effects these types of energies can have on our health and well-being. And if you are really sensitive to energy, it can keep you from living your life to the fullest. Do you realize that you have the ability to significantly decrease the effects outside energetic influences have on your life? 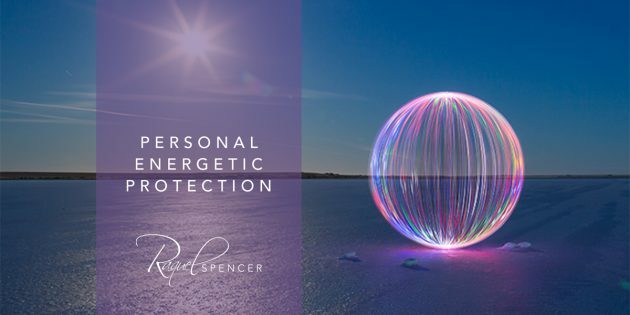 My clients ask all the time… how can I protect myself from outside energies? This technique, when followed regularly (strong hint), will really make a difference in your life. Don’t consider this a passive affirmation; actually see and feel it materializing! This technique takes less than 1 minute and can have a HUGE impact on how you feel. This can be done anywhere and at any time. It’s all about remembering to do it! Take a deep breath and focus on the center of your heart chakra (right in the center of your chest). Visualize a small ball of white Light (about the size of a golf ball) in the center of your heart chakra. With the next breath, explode that ball of Light out in 360 degrees, like a pulse-wave expanding into infinity. Repeat several times (at least 5) coinciding with your breath. Focus once again on the center of your heart chakra and visualize another ball of Light. With your next breath, move that ball out around your body, expanding it about 6 feet beyond your physical body and allow the ball of Light to completely encompass you. See the ball of Light around you as semi-solid and white. Then return to the center of your heart and visualize another ball of Light forming, and with the next breath expand that out to approximately 5 feet beyond your physical body. This ball of Light is now encompassed inside the first layer. Continue this process until you have a minimum of 5 layers of Light. Once all layers are formed, focus your attention on the one closest to your body. Begin to visualize a particular color (any color is fine) and a particular pattern to the ball of Light (for example an intertwined knot pattern). Once you have the color and pattern in your mind, then begin to spin the sphere or ball of Light at a particular angle degree and speed. Repeat this for each layer with a different color, pattern, angular rotation and speed until you have as many different colors, patterns, angles and speeds as you have layers of Light surrounding you. In essence, what you recreate is a personal firewall or shield which will keep outside negative influences out of your own fields. The intention is for all negative or unwanted frequencies or energies to be kept out of your energy fields, WHILE all positive or uplifting frequencies may enter. Have this intention when you are creating this every morning – the best time to do it! Have fun it with. Each day create a different pattern, color, angular rotation and velocity of the spin… Just like a computer firewall constantly changes to keep unwanted viruses out, so too can your own personal firewall of protection. As a matter of fact, I highly recommend mixing it up, keeping it fresh. I dare you to try this for a week and see how much better you feel. This is about taking care of your own energy in a positive and powerful way. You are the creator of your life. This simple yet effective technique can really make a positive difference in your life. Take control with ease and grace… and make it fun!